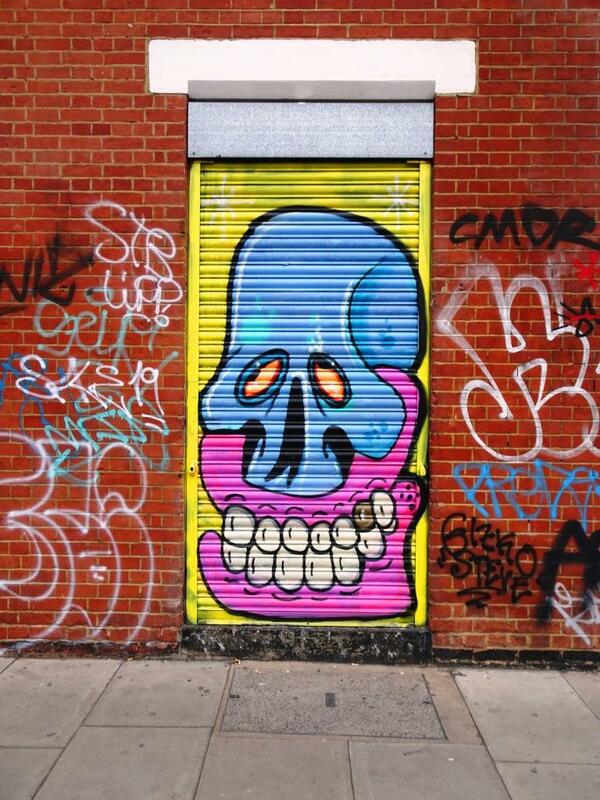 He keeps on painting them and I just keep on writing about them – this is another nice piece at the M32 by Face F1st. My first impression about this piece though it that it looks a little hurried…the lines are not very clean and the white surround looks like the work of a bomber. The face, as with all his pieces, is simple and charming and provides the focal point for the rest of the decoration. Normally, the surrounding patterns spell out FACE, but I can’t see it in this piece. Not his best work, but worth including, I felt. I snapped up two more of his pieces on my way to work this morning.